Private Luxury transportation to Port of New Orleans from your New Orleans Area hotel or MSY Airport. You have flexibility to customize your itinerary to your needs. Getting to and from the Cruise Port can be a frustrating and stressful event. If simply dealing with traffic wasn’t enough, there’s also the chore of trying to find a parking or paying ridiculous prices to park. It has become one of the most annoying elements of a Vacation. And if time is of the essence, that just adds to the stress and confusion. The whole process can be fixed by scheduling a private vehicle with a professional chauffeur. Simply purchase, confirm, and meet the driver. It’s that simple. 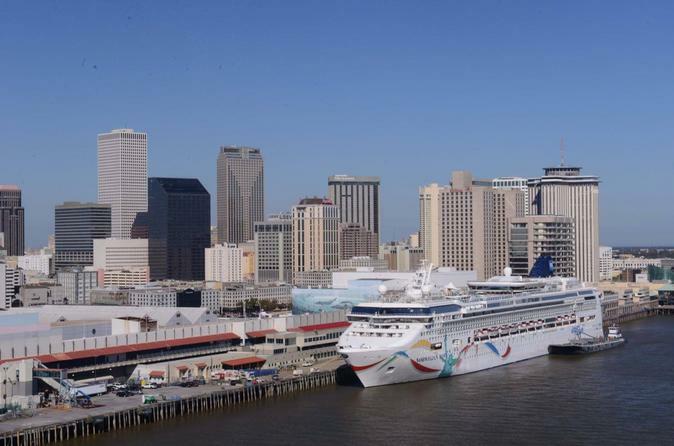 Service from any Greater New Orleans accommodation or New Orleans International Airport (MSY) is available 24 hours a day, seven days a week, so it doesn’t matter when you would like to arrive at the Cruise Port. This convenient form of transportation will always be ready to roll.